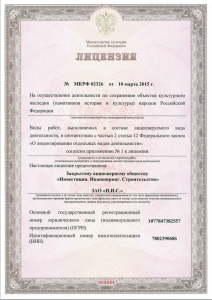 Licenses and permits | IEC Investments. Engineering. Construction. To perform works using the information, constituting a state secret. 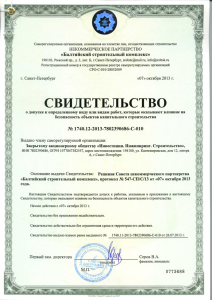 Certificate № 0336-2015-7802390686-02 оn a permit to a certain type or kinds of works which have an impact on security of capital construction objects. © 2007 - 2015 IEC. Investments. Engineering. Construction.